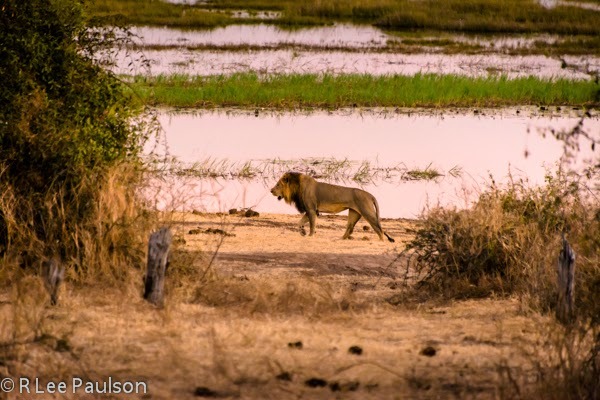 From Off the Beaten Path: Africa 2: We See a Lion Our First Morning. It was early our first morning out in the bush. July in Africa is the middle of winter there. So it was cold, around 45 degrees. The sun had barely risen. We had just dished up our breakfast and sat down to eat. My coffee was hot. 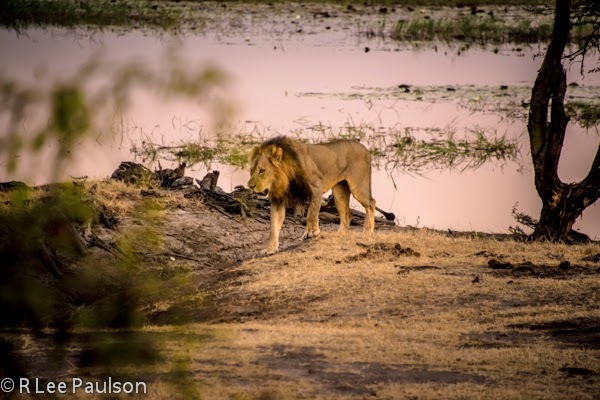 I was savoring a sip of it when one of our guides spotted a lion down on the riverbank below us. 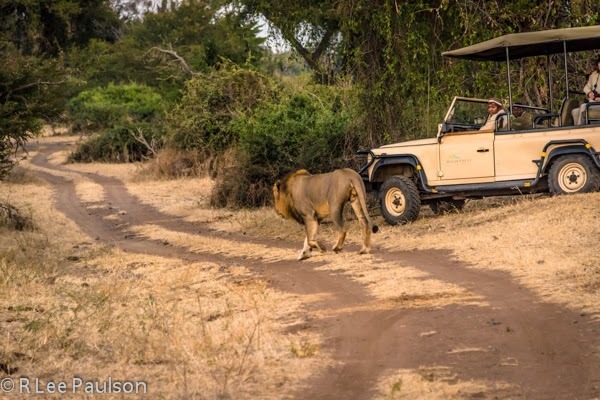 We jumped into the Land Rovers and sped down to find him. 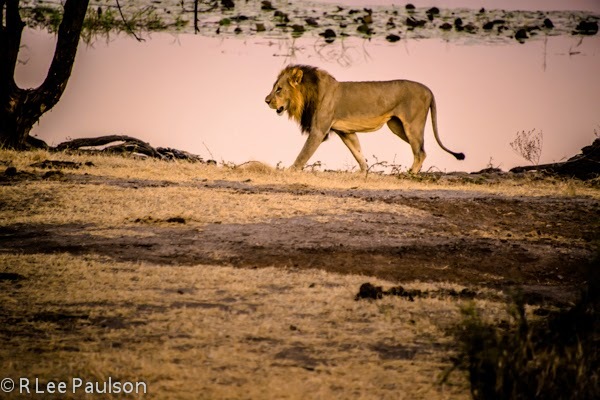 Which we did, walking leisurely along the Chobe river's bank. Our guides were excited and pleased for us. Only rarely, they said, were lions seen in these parts. 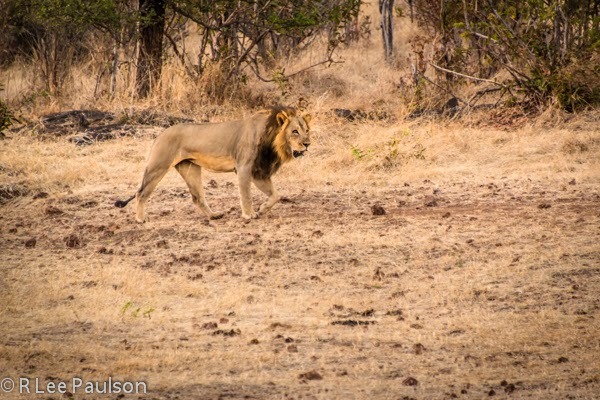 As we got closer, the lion seemed unconcerned that we were following him. Then he turned and began walking toward us. 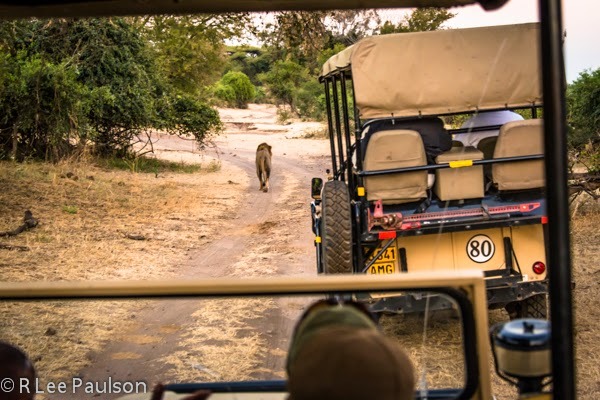 Though he came up near to the side our truck, he never once glanced over to look at us. It was if we were completely invisible to him. He wasn't ten feet away. ...turned, and began walking down the road. He walked right past the other truck with the rest of our group in it, and ignored them, too. So, we followed him at a respectable distance. 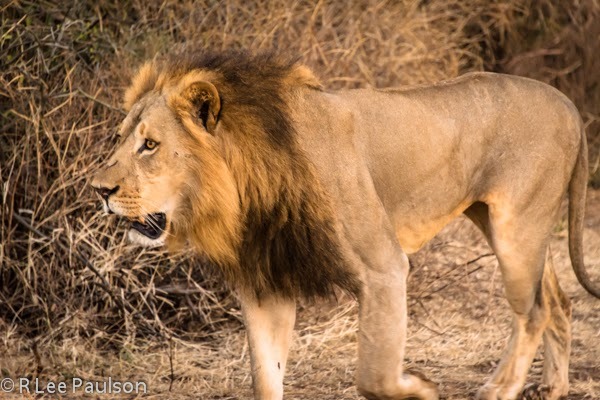 Eventually, he veered off the road and began walking up toward higher ground, near a local village, scaring the bejesus out of a poor villager who found himself unwittingly in the lion's path. 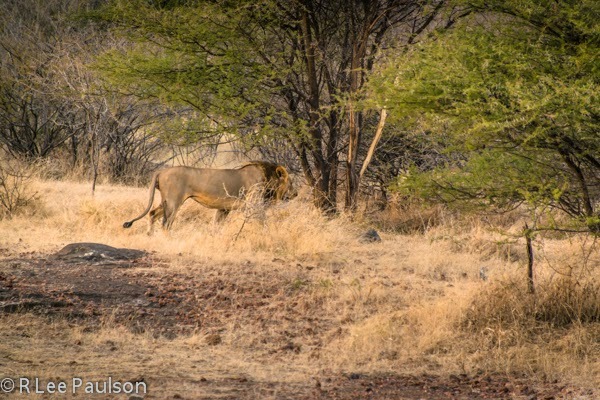 Then the lion wandered off into the underbrush where we could not follow, and disappeared. What a way to start a trip! 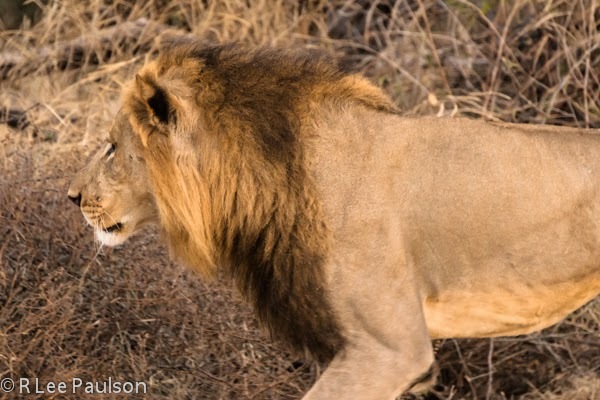 Never, had I ever expected to get that close to a lion out in the wild. As it turned out, more amazing experiences were yet to come. Next, we visit Chobe National Park in Botswana. 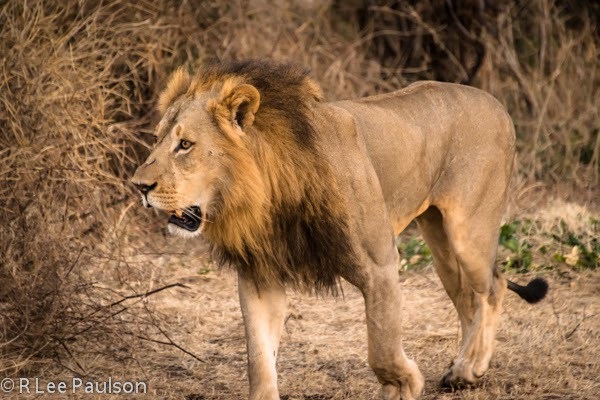 Continue on to Post 3: Safaris in Africa Are About So Much More..., by clicking here.